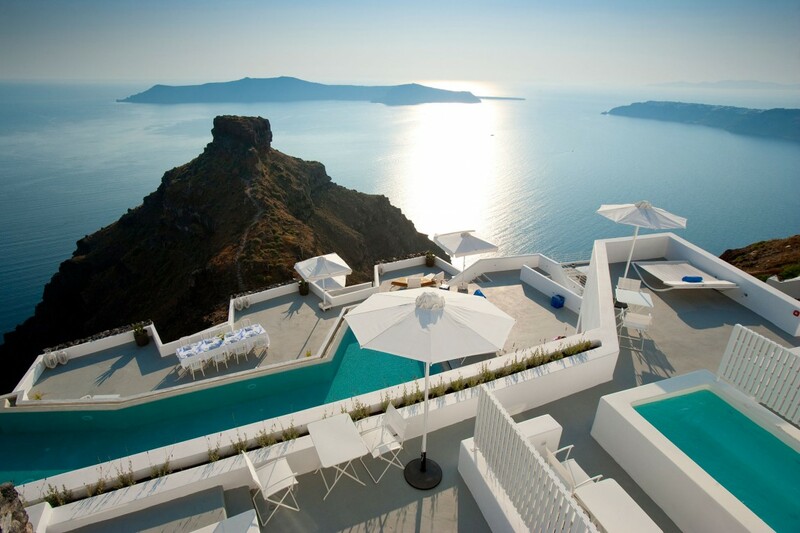 Located in the romantic setting of Imerovigli in the northwest of the island, high above the Caldera, Grace Santorini is the perfect vantage point from which to enjoy the famed Santorini island sunsets that envelop Greece’s Cyclades Islands. 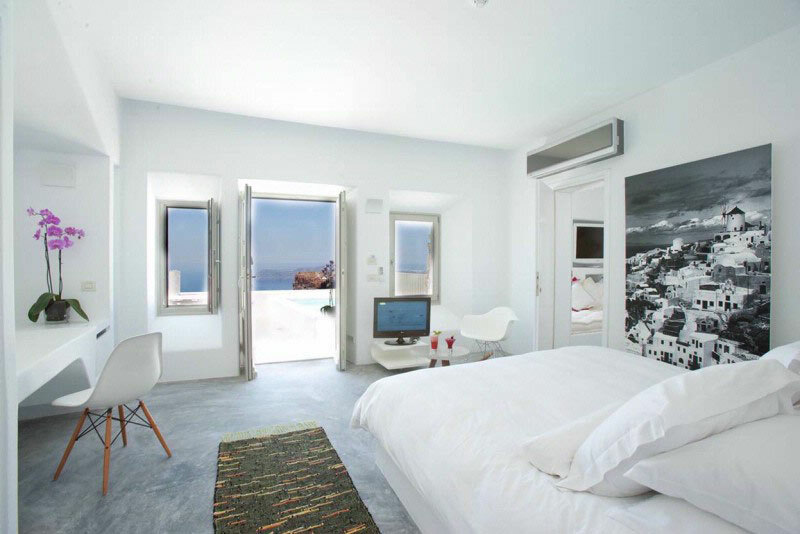 Luxury accommodation in Santorini has never been better situated – the perfect boutique hotel in Santorini for a holiday or honeymoon. 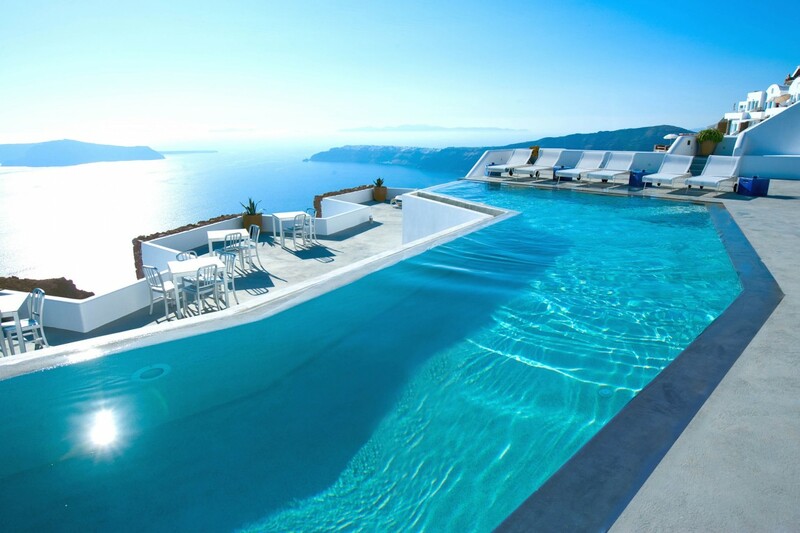 The hotel has a breathtaking infinity pool offering uninterrupted views. The poolside bar serves refreshing drinks and light bites throughout the day. Perfect if you don’t want a heavy lunch. The hotels has spa treatments room and can organise pampering massages for you to indulge in. If you would like to keep up a fitness routine whilst away, there is a boutique gym with fabulous views or you can opt for an in room fitness kit. 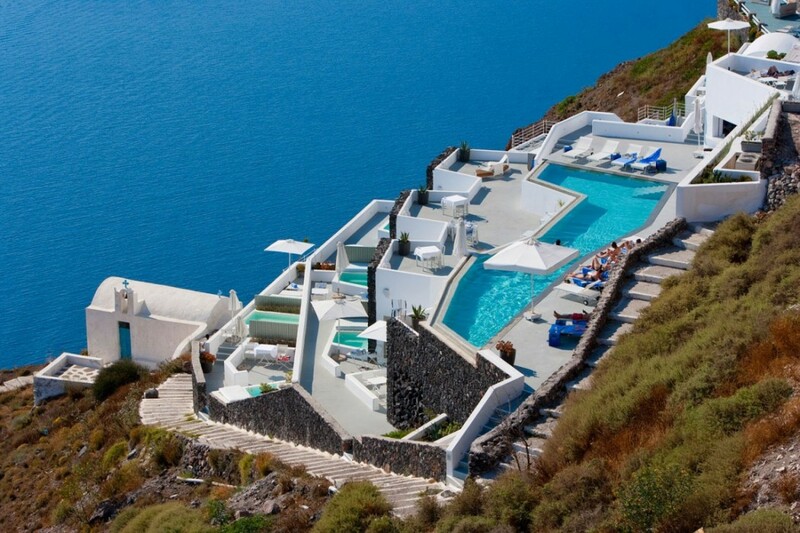 Grace Santorini can arrange boat trips to nearby islands and private daily cruises. Complimentary use of laptop and iPod is possible at the business center. The Grace Santorini has 20 rooms, seven of which are deluxe suites with or without plunge pools of various sizes. 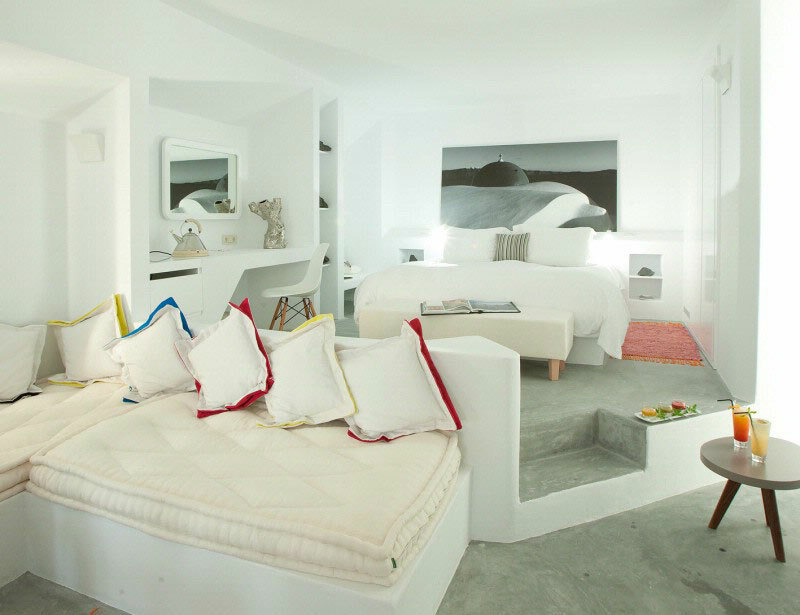 All include: fine bed linens, en-suite with oversized showers whilst some also have steam baths, extensive pillow menu, Apivita luxury bathroom products, bathrobes and slippers, oil burning vaporisers in all rooms, air-conditioning, phone, hairdryer, tea and coffee maker, safe, wifi, iPod docking station, satellite TV and DVD player. 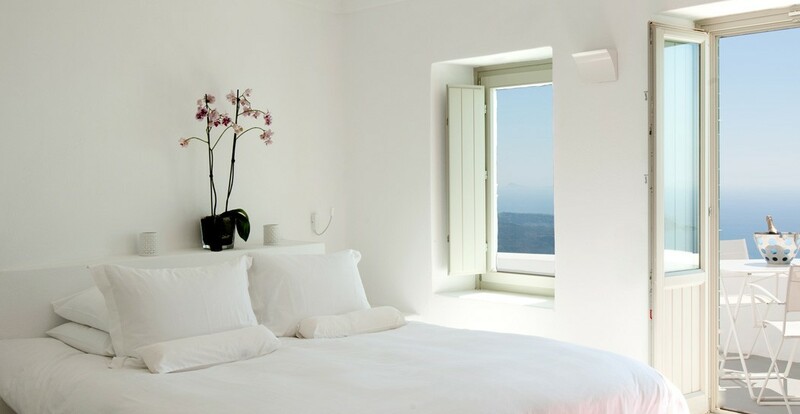 The Villa at Grace Santorini offering the most extensive, and dramatic hotel accommodation in Imerovigli and possibly on all of Santorini, enjoy the classic, elegant simplicity of Grace with panoramic views of Santorini’s iconic Caldera and legendary sunsets. 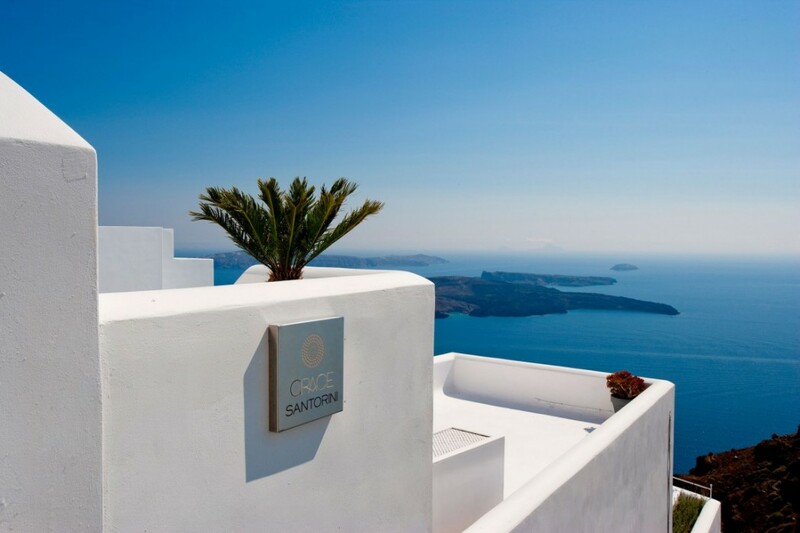 The restaurant at Grace Santorini serves delicious Mediterranean and Greek specialities and has indoor and outdoor dining areas. 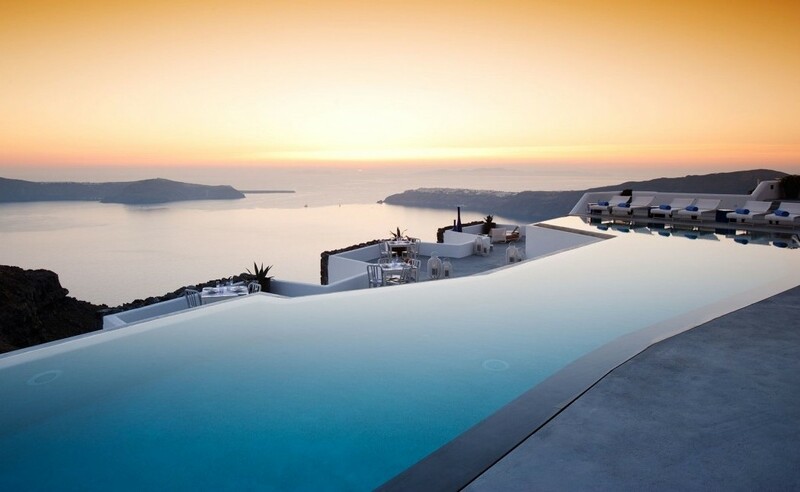 With the wonderful sea views from the restaurant, it will be a dining experience you won’t forget. The restaurant also offers decadent champagne breakfasts for a special treat. 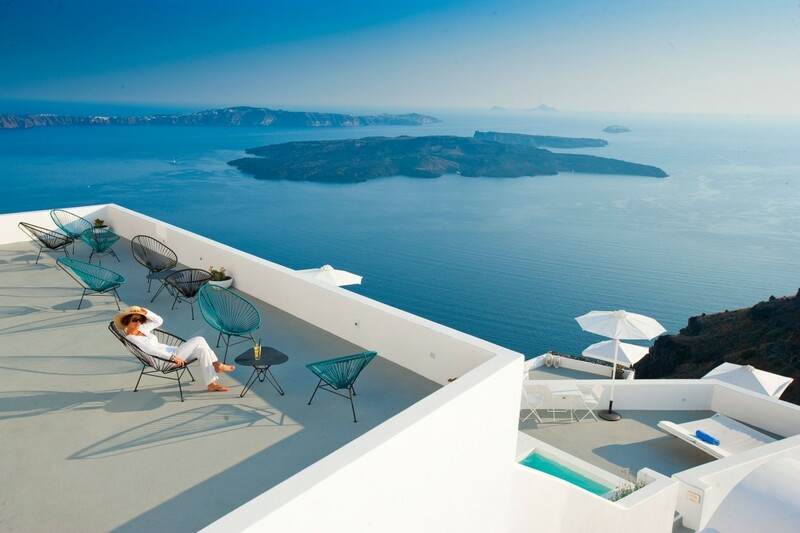 Our Opinion: Every room is perfectly situated for a sunset view, and most suites have a private plunge pools and terrace. Excellent staff, led by host couple Martina and Joseph, who know when to pamper and when to be unobtrusive.